Penn Manor Athletic Director Jeff Roth announced John Brubaker as Penn Manor’s 10th head football coach on March 17, about eight weeks after former coach Todd Mealy announced his resignation to focus on family and his upcoming doctorate degree. While coach Mealy’s resignation was disappointing for the Penn Manor football community, new coach John Brubaker has a very strong résumé. A 1983 graduate of Manheim Central and a three-year starting running back for the Barons, Brubaker holds school records for career rushing yards (2,919), and rushes in a game (37) and season (258). He was also selected to play in the 1982 Big 33 All-Star Football game. Brubaker comes from a successful culture as a coach, too, as the Barons made it to the state title game three different times when he was a defensive coordinator, winning one of them. The team won 16 District Three Class AAA titles during his tenure as an assistant. Brubaker brings experience, both as a coach and player. There are many similarities between Coach Mealy and Coach Brubaker. First, they both had very successful careers on the field; Mealy won a state championship in 1995 as a linebacker for Bishop McDevitt. 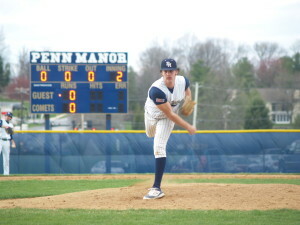 Brubaker saw personal success, with the aforementioned records that he holds at Central and Big 33 selection. Football at Penn Manor has an interesting history. Not only was Penn Manor one of the last schools in the county to establish varsity football (1971), the Comets also had a 33-game losing streak that was featured on ESPN in the ‘90s and have won just two section championships in the 43 years of varsity football (‘74 and ‘84). But just because the East Gym won’t show the winning tradition in the past several years doesn’t mean Penn Manor hasn’t had one. Wilson High School’s dominance over Mealy’s tenure hindered the Comets’ chances at a Section 1 title. 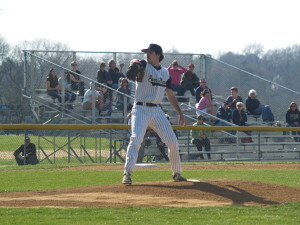 Penn Manor lost three games within seven points to perennial Section 1 powerhouse Wilson. When Todd Mealy took over the program in 2007, Penn Manor football was in a rough spot. 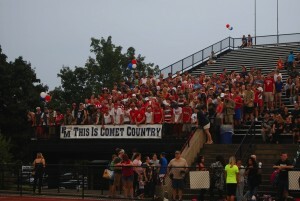 Before he came, the Comets were frequently at the bottom of the LL-League rankings. 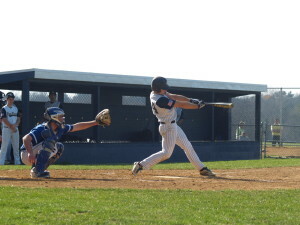 While they did see a District playoff appearance in 2006, the 2007 squad managed only one win and nine losses. Penn Manor would go on to compile a 55-24 record over Mealy’s next seven years. They also ranked fourth in District 3 AAAA in wins over those years. To put it into perspective, Penn Manor had a record of 142-229-2 over 38 years before Mealy became head coach, good for a mediocre 38 percent winning percentage. After Mealy’s first season, the Comets compiled a 70 percent winning percentage. Quite a few accomplishments, but his impact wasn’t just off the field, as the football team maintained a 3.4 grade-point average over his tenure. Before February 1, it had been an entire decade since the New England Patriots last won a Super Bowl. It seems amazing, considering the Patriots are perennial championship contenders when January rolls around. They had lost both of their two previous Super Bowl trips to the New York Giants, one in Super Bowl XLII (2008) and the other loss coming in Super Bowl XLVI (2012). Patriots undrafted rookie cornerback Malcolm Butler picked off Russell Wilson from the one-yard line with 20 ticks left in the game on a controversial play call for his first career interception. Amazing, also considering that Brown is listed as the fifth cornerback on New England’s depth chart. But, that’s about the exact opposite of what happened. While many people were criticizing the choice to pass the ball on the one-yard line instead of run, senior Tanner Erisman had a different thought. It seemed like, according to Twitter and talking with a lot of friends, a lot of people were rooting for the Seahawks. I heard a lot of reasons why, from “I like the way the Seahawks play” to “The Patriots win too much”. But the obvious number one reason would be “DeflateGate”, or the allegation that the Patriots deflated their footballs in the AFC Championship game to make them easier to play with. But lets be honest, the score of the AFC Championship was 45-7. The Patriots would have won the game with a bowling ball. And that’s all I’m going to say about it. League-wide this season, quarterbacks have thrown 109 passes from the one-yard line. Malcolm Brown’s interception was the first time one of those passes was intercepted, according to the Elias Sports Bureau. Per sbnation.com, none of the Super Bowl XLIX starters were 5-star recruits coming out of high school. Only seven of them were 4-star recruits, and the other 37 were 3-star or less, or not ranked at all. So for all you athletes out there: Never give up on your dream. Lastly, Super Bowl XLIX was the most-watched American TV program ever, with and estimated 114.5 million people watching. The Penn Manor varsity cross country team had a very successful season. The team competed in the District 3 meet on Wednesday October 23, 2014. Josh Bye and Craig Jahnke are seniors who ran their last cross country meet at the district meet on Wednesday. The meet resulted in the girls coming in 27th place, and as a team the boys got 19th place. Both the boys and girls teams had a winning or close to winning season and finished with good results at districts on Wednesday. Lindsey Lord came in 22nd place with a time of 20:16 and a pace time of 6:32. Joel Burkholder came in 38th place with a time of 17:18 and a pace time of 5:35. Senior Joshua Bye came in 101th place with a time of 18:13 and a pace time of 5:52 and senior Craig Jahnke came in 204th place with a time of 19:15 and a pace time of 6:12. Freshman Zach Schucker came in 155th place with a time of 18:45 and a pace time of 6:03 and Aidan Toomey came in 159 with a time of 18:46 and a pace time of 6:03. Senior Hannah Willig came in 146th place with a time of 22:54 and a pace time of 7:23 and senior Meghan McMurtrie came in 160th place with a time of 23:14 and a pace time of 7:29. Freshman Lindsey Lord and Junior Joel Burkholder have been on the Penn Manor cross country team since seventh grade. Lindsey won 15 of her meets and lost 7 of her meets. Joel won 18 of his meets and lost 4 of his meets. Zach Schucker, Aidan Toomey, and Nicholas Fafel are three very talented freshman boys on the varsity team. They were running with some of the top boys of the varsity team. Brianna Ulacky, Savanna Yarnell, and Maddie Groff are also young talents on the girls varsity team. The boys had 17 wins and only 4 losses and the girls had 10 wins and 11 losses. At the L-L League meet at Ephrata the Boys varsity team came in fifth place and the Girls varsity team came in 12th place.